Charleston Voice: Will Uncle Sam get your IRA? 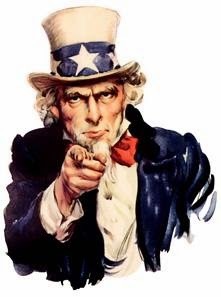 Will Uncle Sam get your IRA? I have written a number of times that I expect the U.S. government will eventually take or somehow get control of all assets in private retirement accounts, including precious metals individual retirement accounts. The basic reason for this expectation is that the U.S. government is running up tens of trillions of dollars of debts and unfunded liabilities. The trillions of dollars of private retirement account assets are just too big a target for the politicians and bureaucrats to leave alone. An early attempt by the government to take control of such assets came soon after President Clinton took office. As now structured, income taxes are not paid on most retirement accounts until the assets are withdrawn. This event to collect income taxes usually occurs years down the road. In the early 1990s, that concept was turned around. The proposal was to impose a 15 percent tax on all existing private retirement accounts, then tax new contributions also at the 15 percent rate. The payoff for taxpayers was that any future withdrawals would be tax free. A new plan was presented to the House Committee on Education and Labor in hearings on Oct. 7, 2008, by Professor Teresa Ghilarducci. This proposal was for the U.S. government to seize all private retirement assets and replace them with Guaranteed Retirement Accounts (GRAs) managed by the Social Security Administration. The only assets that would be allowed into these new Accounts would be U.S. Treasury bonds paying 3 percent interest (indexed for subsequent Consumer Price Index changes). 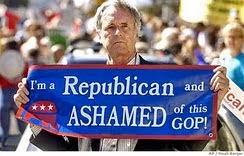 Further, the plan called for 5 percent of payrolls to be withheld, on top of existing Social Security and Medicare tax withholdings, for deposit into these GRAs. The last feature of this proposal is that upon the death of the account holder, part of the remaining assets would be forfeited to the U.S. government. That was a huge change where all private retirement account assets, up to now, go to the heirs. The one bonus to bribe Americans to go along with the nationalization of private retirement accounts was that the assets would be converted to government bonds as of their value at a designated earlier date when most paper assets such as stocks, bonds and currencies were mostly at a higher value than they were in October 2008. Given the opportunity to recoup some of the losses that retirement accounts had suffered in 2007 and 2008, this was a definite enticement. In September 2010, the Departments of Labor and Treasury held joint hearings to advocate that, upon retirement, the assets in private retirement accounts would be converted into annuities, where the residual assets upon death would ultimately all be retained by the U.S. government. In January 2014, during his State of the Union address, President Obama proposed the establishment of the MyRA. This is initially a voluntary program for lower-income Americans to set aside some after-tax dollars to earn income that can later be withdrawn tax-free. However, there are several limitations. First, these accounts can only own U.S. Treasury debt that pays the same interest rate as the Thrift Savings Plan’s Government Securities Investment Fund. This fund was paying less than 2 percent at the time of the President’s proposal. A second major limitation is that accounts could not exceed $15,000 in total value. Further, these accounts cannot exist longer than 30 years. Starting two months ago, a small number of these MyRA accounts have been established. Investment writer Doug Fabian has described an all-too-plausible scenario that he expects to happen before the end of President Obama’s term. He anticipates that there will be some major financial crisis in the United States, greater than the Great Recession of last decade, where investors will see the values of their stocks, bonds and other assets mostly plummet. This could be triggered by any number of incidents. As some examples, Greece could leave the European Monetary Union, which would force many major American and foreign banks to write down tens of billions of dollars of bonds that they are now carrying at face value. The developing fall in demand for upper-end U.S. housing could expand to all housing nationwide, leaving U.S. banks with massive bad debts that risk their survival. Or local, school district, regional, and state governments all across America could be forced into bankruptcy after the Governmental Accounting Standards Board issues their pronouncements in June requiring these entities to more fully report the extent of their tens of trillions of dollars of unfunded liabilities for employee pensions and retiree health care benefits. There are many other possible crises, but this gives you an idea of how massive a financial crisis could occur. At the time when such a financial crisis hits, private retirement account assets will almost all drop in value – by a lot. If, or when, this occurs, there will be a huge groundswell from people who no longer have enough wealth to retire. Mr. Fabian theorizes that this will be the perfect time for the federal government to modify MyRA accounts to accept unlimited asset transfers from existing private retirement accounts. By the federal government offering people the opportunity to get credit for the value of their assets before the financial crisis was triggered, Fabian expects that a high percentage of Americans would voluntarily be eager to turn their retirement assets into loans to the U.S. Treasury. Such a scenario would be a power-grabbing politician’s dream. Instead of being thought of as a President who stole people’s retirement assets, the person in charge in such circumstances were be hailed as a savior. Unfortunately, I think the risk of such events coming to pass by the end of 2016 are high enough that Americans need to prepare their finances sooner rather than later. Should any huge financial crisis come to pass, expect to see a surge in demand for precious metals, especially gold and silver. Other portable tangible assets such as rare coins and paper money will also likely experience stronger demand. However, the increased demand for such assets will not be for placement in retirement accounts. Instead, look for the surge in demand to be for assets that can be owned and possessed directly. Patrick A. Heller was the American Numismatic Association 2012 Harry Forman Numismatic Dealer of the Year Award winner. 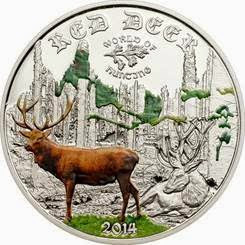 He is the owner emeritus and communications officer of Liberty Coin Service in Lansing, Mich., and writes “Liberty’s Outlook,” a monthly newsletter on rare coins and precious metals subjects. Past newsletter issues can be viewed at http://www.libertycoinservice.com. Other commentaries are available at Coin Week (http://www.coinweek.com and http://www.coininfo.com). He also writes a bi-monthly column on collectibles for “The Greater Lansing Business Monthly” (http://www.lansingbusinessmonthly.com/articles/department-columns). His Numismatic Literary Guild award-winning radio show “Things You ‘Know’ That Just Aren’t So, And Important News You Need To Know” can be heard at 8:45 a.m. Wednesday and Friday mornings on 1320-AM WILS in Lansing (which streams live and becomes part of the audio and text archives posted at http://www.1320wils.com).